Frankfurt, although not one of the biggest cities in Germany, is the financial center and home of the German Stock Exchange. 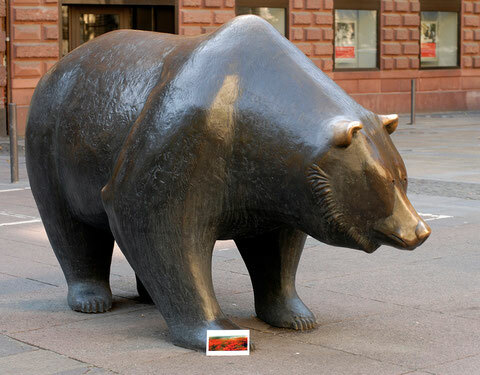 So which place in Frankfurt could be better for a souvenir picture than the the sculpture of the bull and bear symbolizing the ups and downs of the stock market. Apparently, I´m not the only one who has had that thought… actually you have to queue to take a picture there.